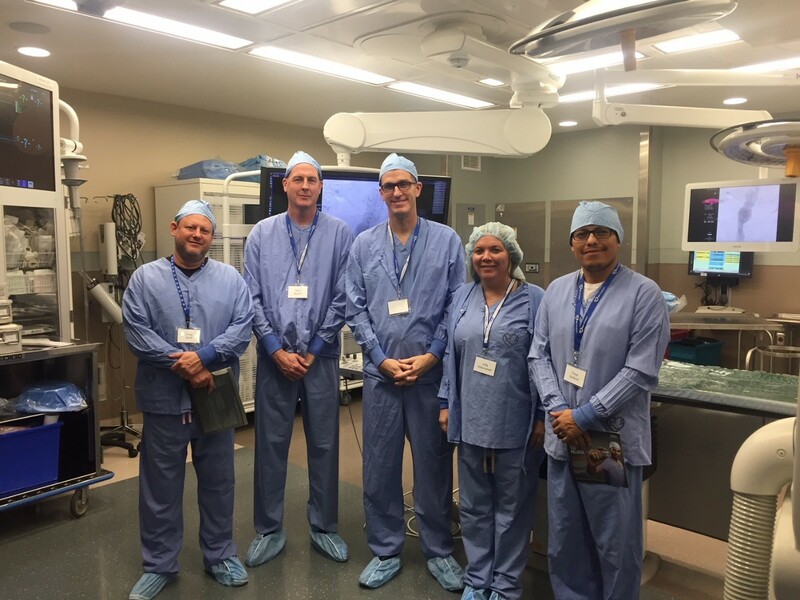 The Methodist Hospital Foundation Scrubs Tour gives community volunteers and leaders an opportunity to spend an afternoon getting a behind-the-scenes look at Methodist Hospital operations and healthcare. Congratulations to our second group of Scrubs Tour participants who earned their scrubs by touring the Emergency Department, SANE/SART department, Cardiac Cath Lab and Hybrid Operating Room. L-R: Craig Wolf, Dave Nutsch, Ed Finan, Julia Hebenstreit and Cesar Godinez.